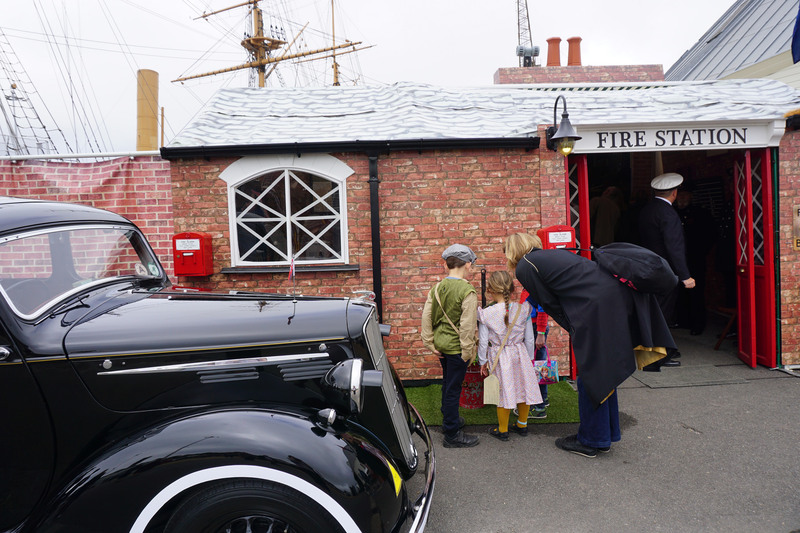 We’re big fans of Chatham Historic Dockyard in Kent and were excited to be invited to visit again during their special ‘Salute to the 1940s‘ theme weekend. 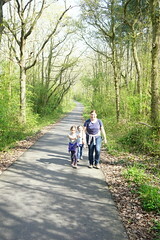 As Matt was away for the weekend, I invited our next door neighbour Eva and her son Henry to join us. 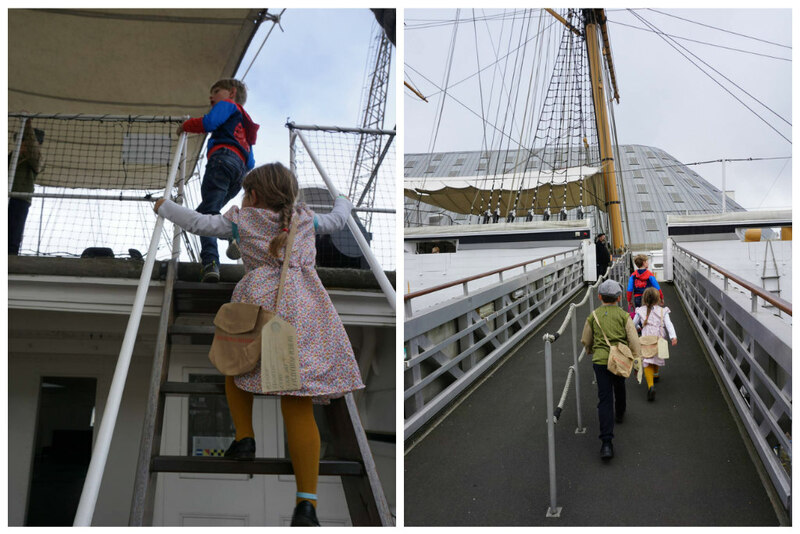 It was their first visit to the Dockyard and I was keen to show them around. 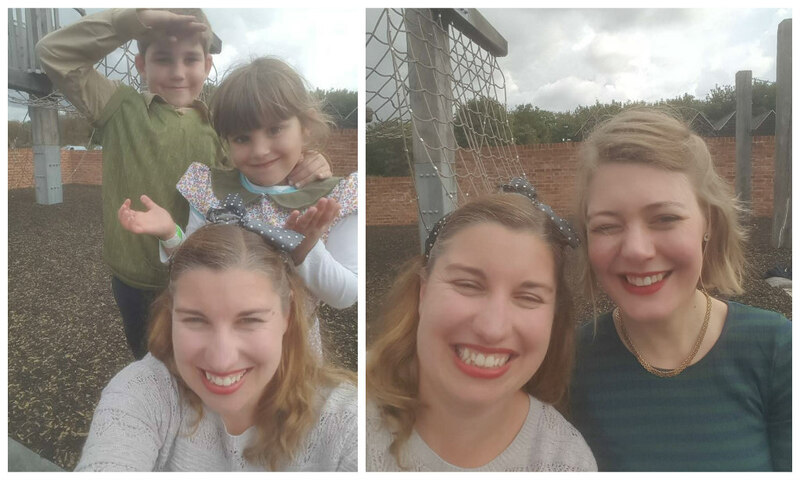 So, we scrabbled together some 1940s style clothes, dug out some red lipstick and hit ebay for costumes for the kids, and headed down to Kent for the day! 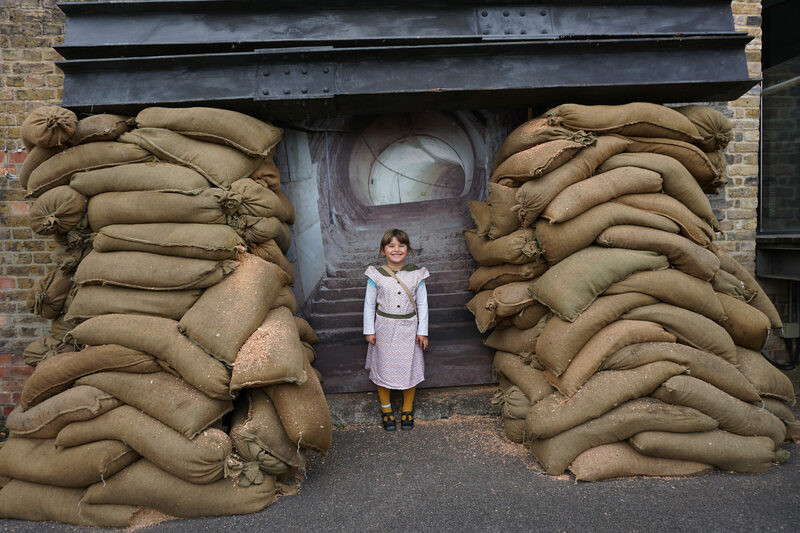 The Dockyard had been absolutely transformed with bunting, pop-up exhibits and displays. 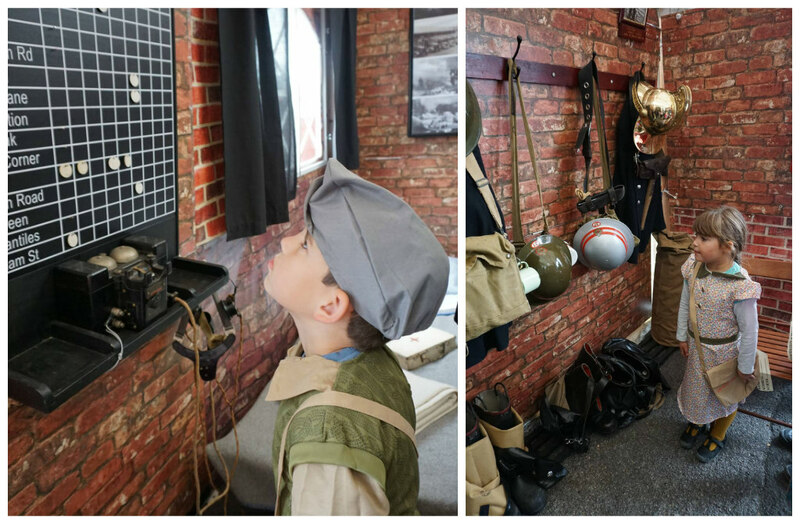 The children loved exploring and learning a little about life during the war along the way. I love my 1940s evacuee and 21st century spiderman playing aiming the Victorian guns! Quite the contrast! 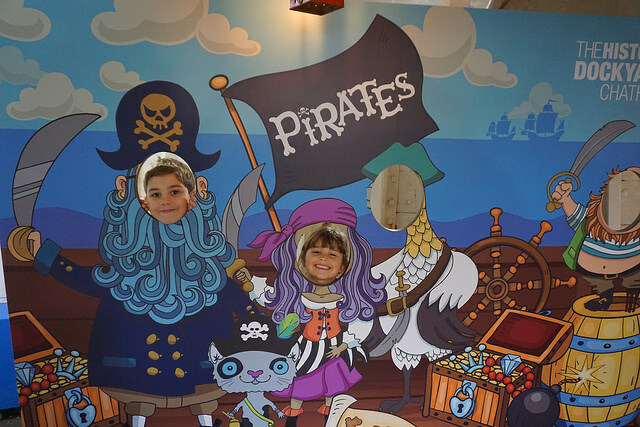 While my pair were truly embracing the pirate theme together! 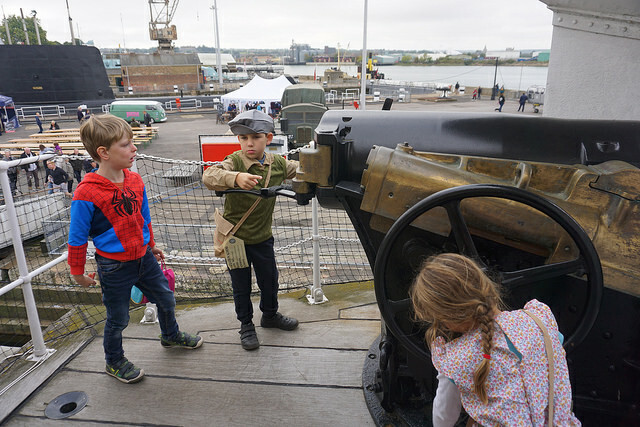 Next on our list was our favourite attraction at the Dockyard, the HM Submarine Ocelot. 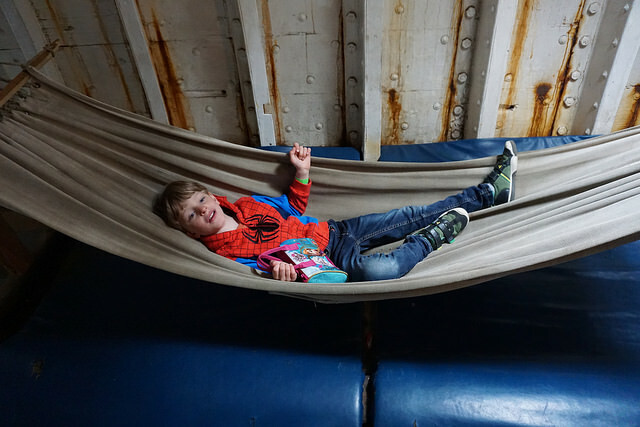 Since the weekend was so busy, the tours were much quicker than usual – really just a walkthrough, but we still loved experiencing the claustrophobic but completely fascinating compartments. 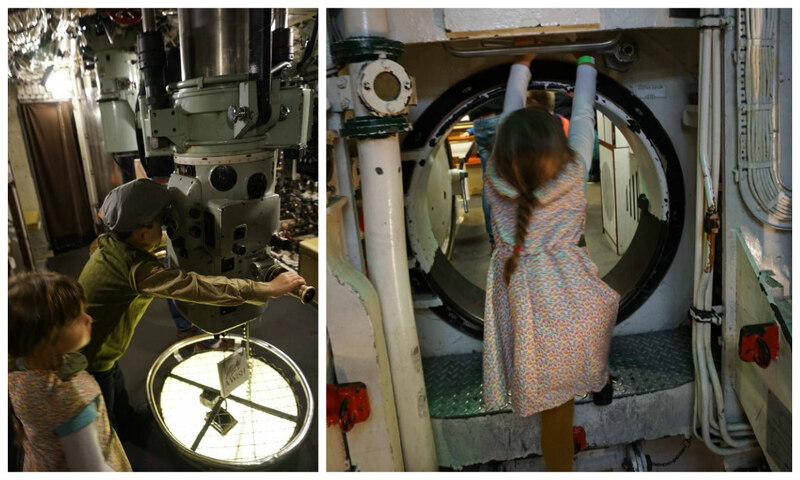 I must admit, I found it rather tricky negotiating the narrow, round bulkhead doors in my 1940s pencil skirt! But Sophie did a great job! 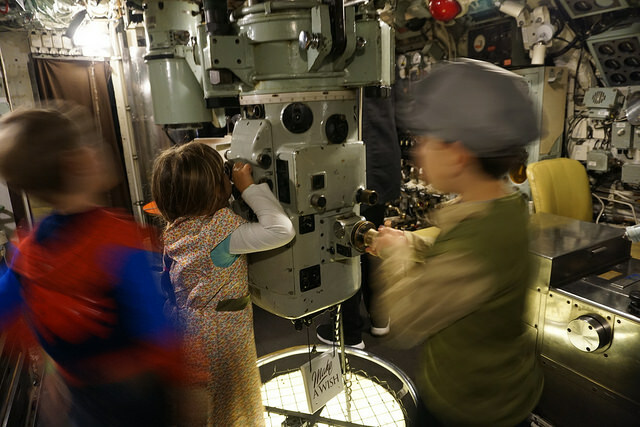 And as usual, all the children wanted to spy the dockyard through the periscope before we were ushered on for the next tour! Back above ground, we spent some time inspecting some of the huge number of vintage cars on display. I couldn’t believe how many there were – and in what amazing condition we found them. I had to keep the kids from jumping in and exploring a little too closely! On top of the decoration and display, there was a packed programme of entertainment on a range of stages around the site. Here are my duo absorbed in the wartime music from the excellent Dolly Girls. 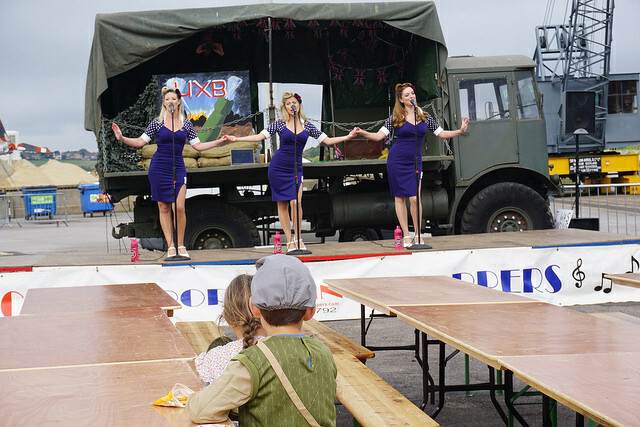 We ended up watching the Dolly Girls again as we enjoyed some lunch from a 1950s diner pop-up – I think we were following them around the three stages! 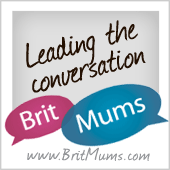 I particularly liked the dancing – but I couldn’t persuade the children to stop running around so we could watch more of it! 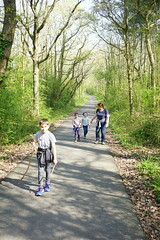 They were more interested in the playgrounds of course! And there are several at the Dockyard. 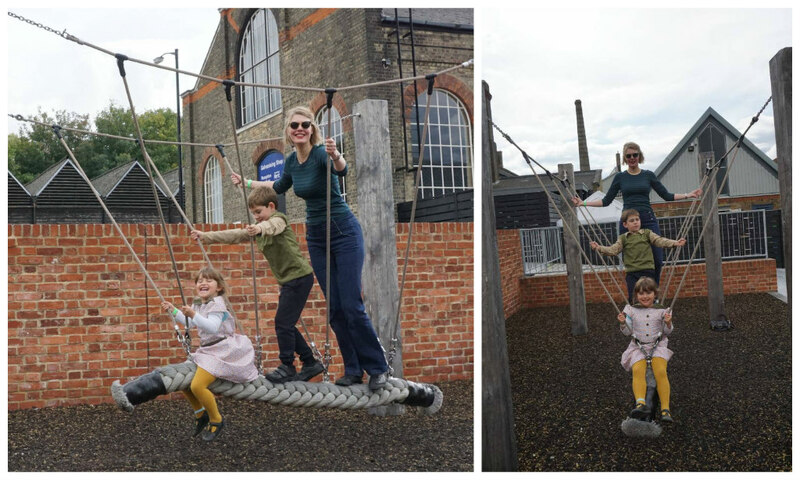 Here’s Sophie and Henry enjoying a swing while the dockyard steam train chuffs by! 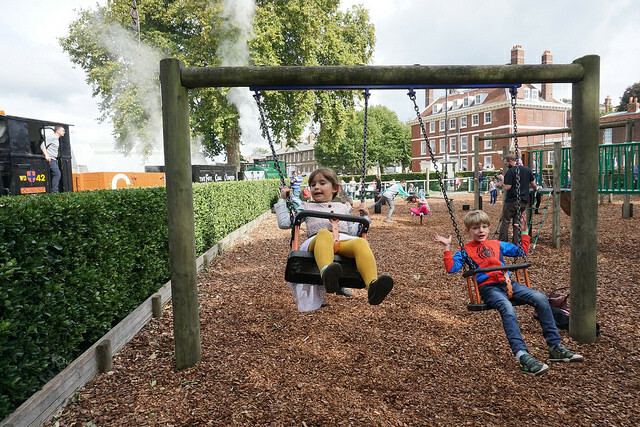 And their favourite playground of all – the rope themed area at the main entrance. At the end of the day as we were trying to leave, we could barely drag the three of them away! Eva seemed to have fun in there as well! To close, here are two dreadful selfies squinting into the sun to prove that we really did get into the spirit with our red lipstick and 40s hairdos! 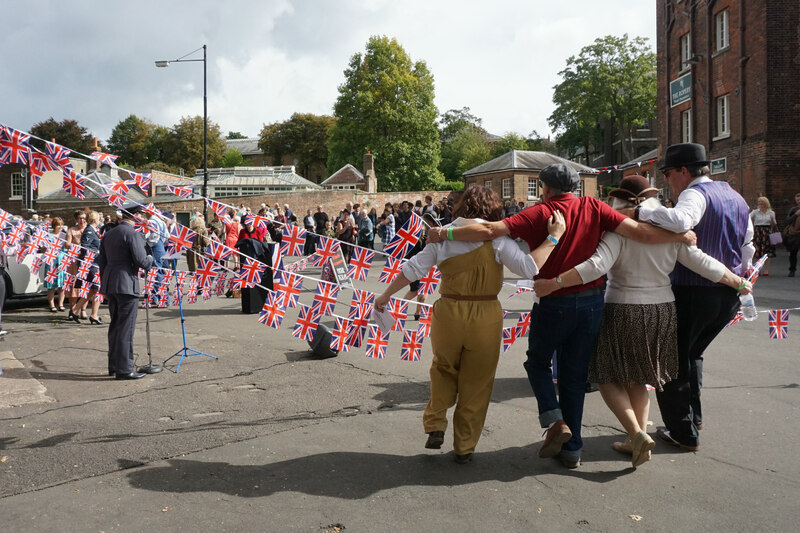 We had a great day – I’ve never been to a vintage festival before and it was such a treat seeing so many amazing costumes and hairstyles (I couldn’t manage a victory roll in my bair!). 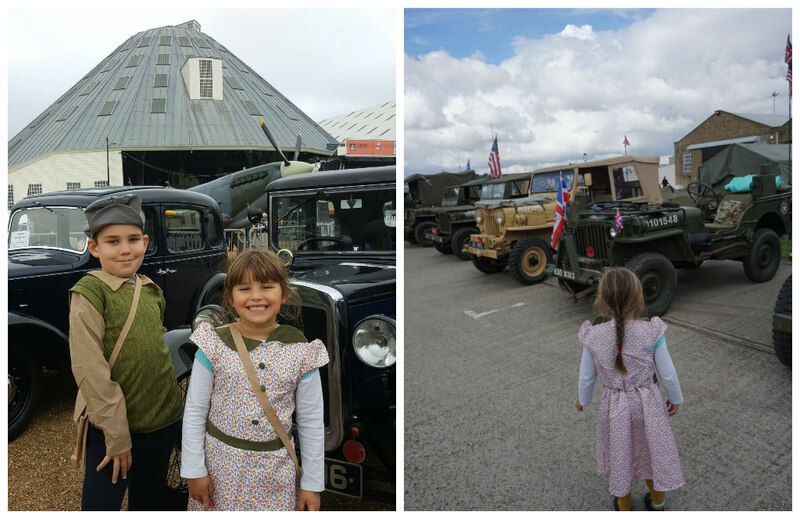 We were so engrossed in the vintage displays and music, we didn’t get a chance to show Eva and Henry more of the dockyard itself, so we’ll just have to go back again soon! 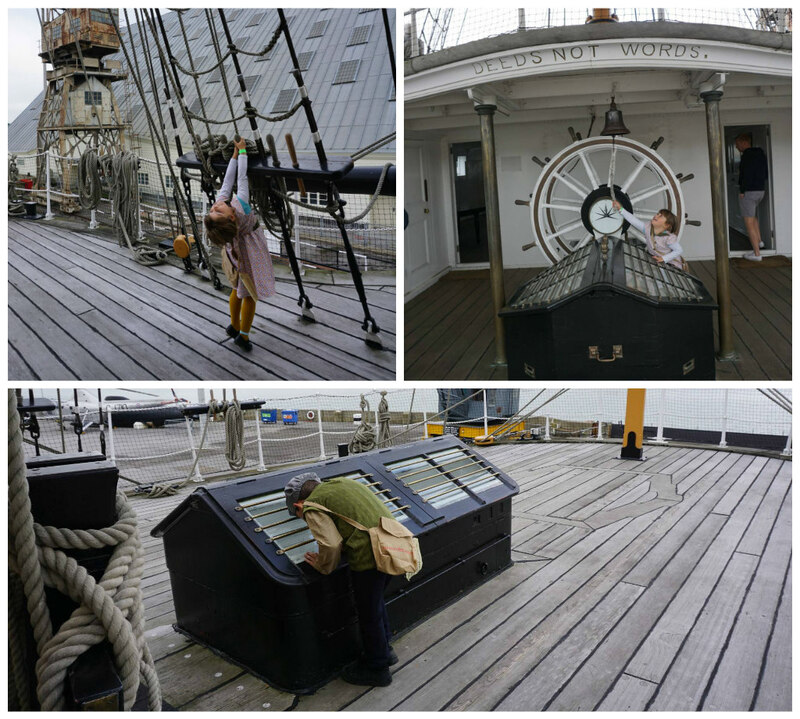 Thanks to Chatham Historic Dockyard for inviting us and providing our tickets for the day. All views are our own.